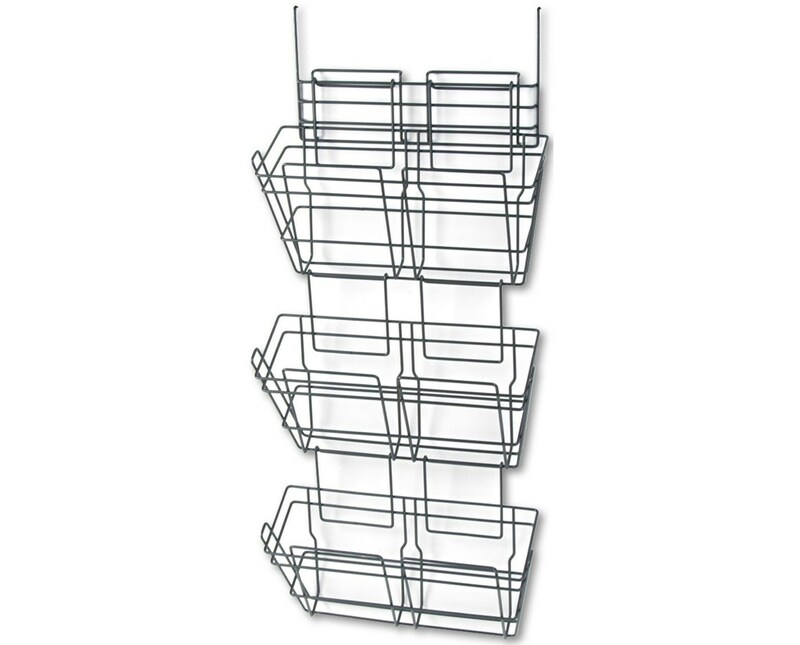 The Safco PanelMate Triple File Steel Basket provides convenient access to files and other storage materials while keeping it organized. 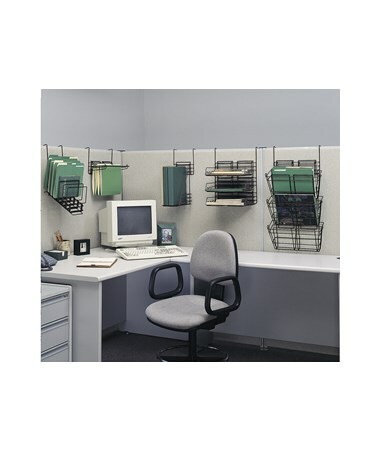 It features three wire baskets with a weight capacity of up to five pounds each and can accommodate letter-size folders. Each basket measures 4.75 inches at the top and 1.75 inches at the bottom. 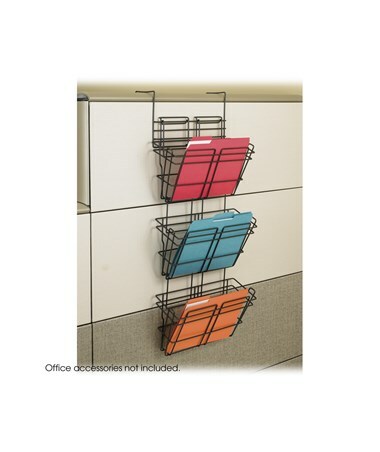 This eight-pound file sorter has a universal mounting system that allows it to fit over panels of up to 3.25 inches thick. It is made of welded steel with a painted epoxy finish and is easy to assemble. 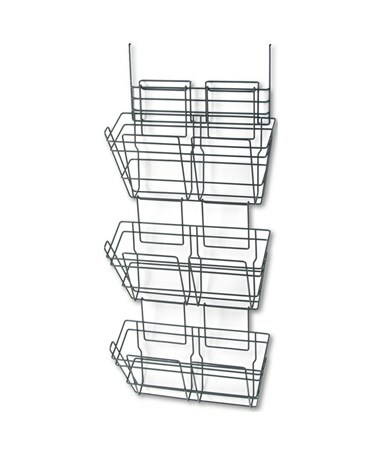 This wall organizer is safe for indoor use as certified by GREENGUARD. Each package contains six units.